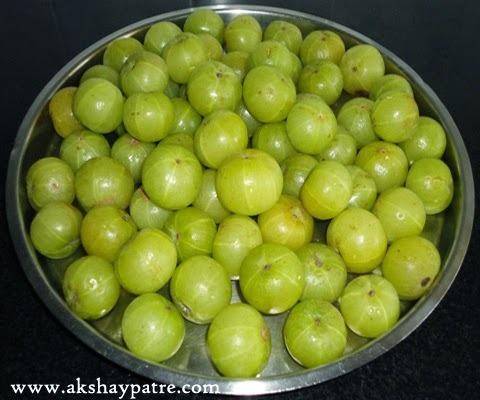 Awala or nellikayi pickle recipe - Awala or Gooseberry has great medicinal value, especially in ayurveda. Awala is rich source of Vitamin C. It also contains iron, minerals and dietary fiber. 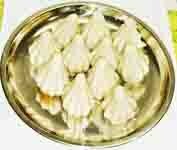 It has great healing effect on eye, digestive system and chest. Awala juice has cooling effect, It lowers the body heat and provide coolness and stops irritation in chest and eyes. Eating some pieces of Awala pickle brings water in mouth, thereby increases the taste and stops dryness of mouth. 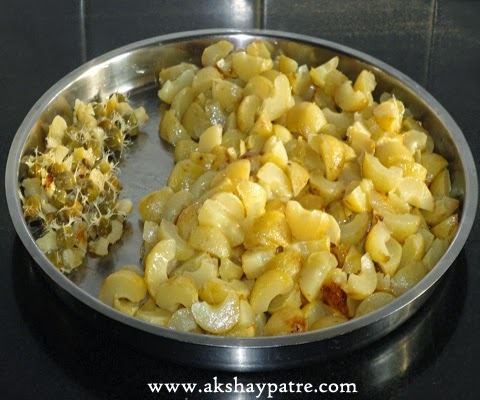 We can use awala in different ways, in which we get both variations and the nutrients. Wash the awala thoroughly and dry them on a sheet under sun for half an hour. Heat 1/2 cup of oil in a pan and add awala to it. Stir to coat the oil from all sides and cover with lid. Cook it on low flame until awala becomes soft. Insert a knife and check it. Once the awala becomes soft, open the lid and keep it on low flame for 4-5 minutes to evaporate the water contents. 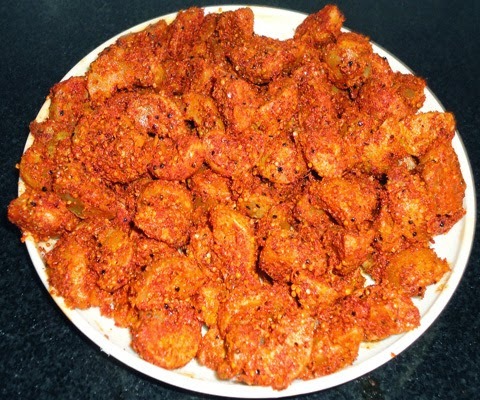 To prepare masala for pickle, heat 3 tbsp of oil in a frying pan and add chilly powder to it. Saute till raw smell disappears. Remove from the heat and add awala and salt to it. Stir to combine. In another small frying pan, heat 1 tbsp of oil and add the split mustard seeds to it. Stir till they become golden brown. Then add hing powder and stir for a while. Pour this seasoning on the awala-chilly mixture and mix gently. Keep it open for 15 -20 minutes. 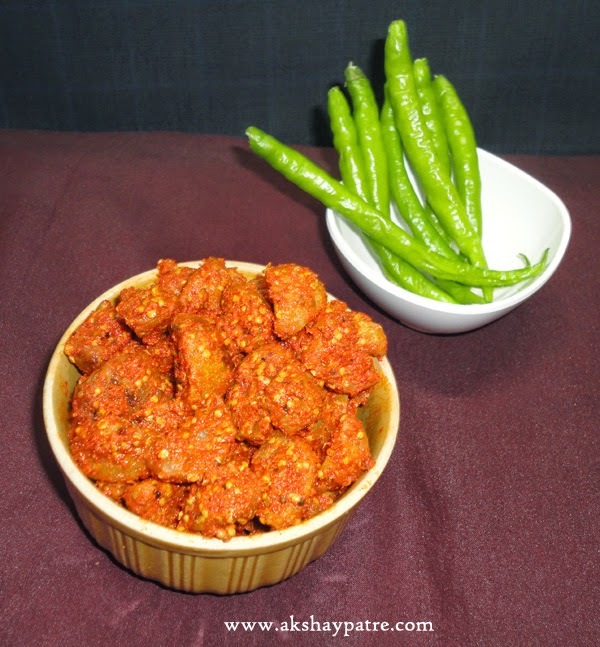 Store the nellikayi pickle in an airtight container and keep it n a warm place. 1. Wash the awala thoroughly and dry them on a sheet under sun for half an hour. 2. 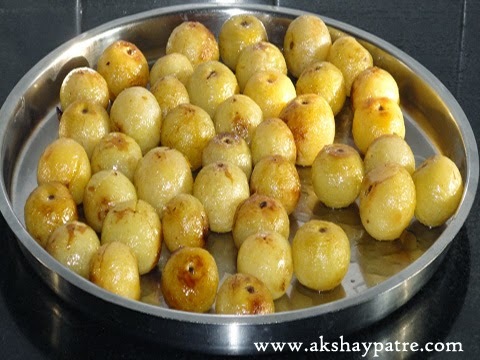 Heat 1/2 cup of oil in a pan and add awala to it. Stir to coat the oil from all sides and cover with lid. Cook it on low flame until awala becomes soft. Insert a knife and check it. Once the awala becomes soft, open the lid and keep it on low flame for 4-5 minutes to evaporate the water contents. 4. 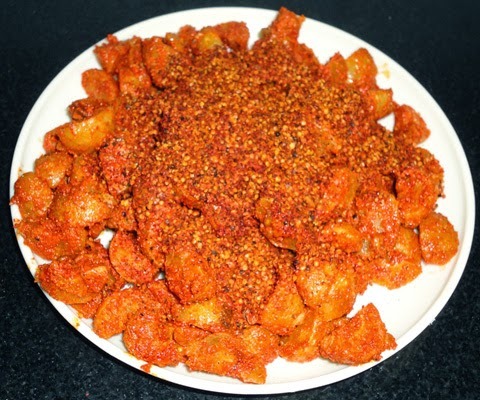 To prepare masala for pickle, heat 3 tbsp of oil in a frying pan and add chilly powder to it. Saute till raw smell disappears. Remove from the heat and add awala and salt to it. Stir to combine. 5. In another small frying pan, heat 1 tbsp of oil and add the split mustard seeds to it. Stir till they become golden brown. 7. Then add hing powder and stir for a while. Pour this seasoning on the awala-chilly mixture and mix gently. Keep it open for 15 -20 minutes. 8. 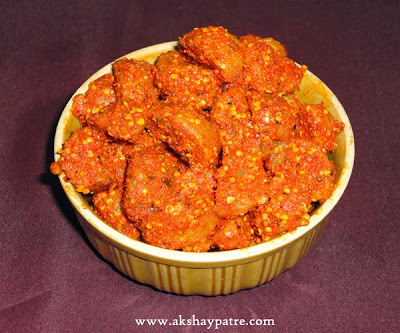 Store the nellikayi pickle in an airtight container and keep it n a warm place.